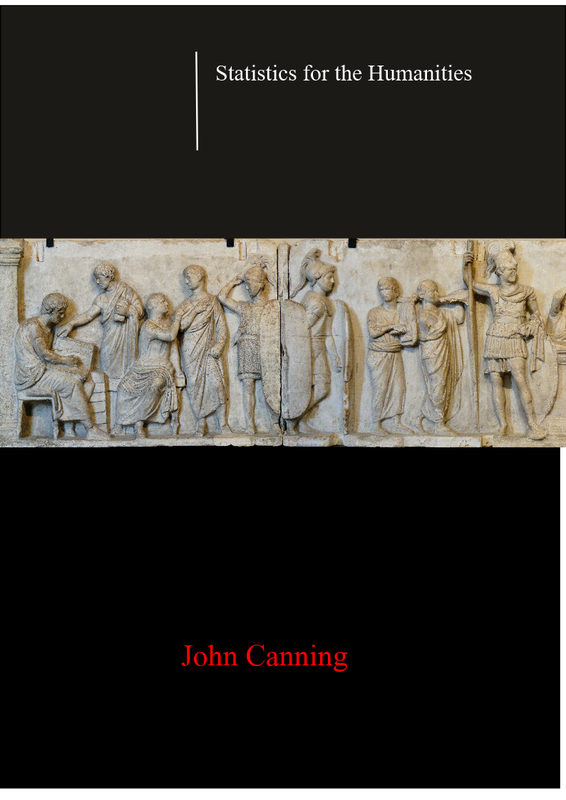 An Introduction to Feedback by John Canning is licensed under a Creative Commons Attribution-ShareAlike 4.0 International License. This resource is a modification of resources produced by the author whilst working on the Getting More out of Feedback project at the University of Southampton. Since the UK National Student Survey (NSS) was first introduced in 2005 assessment and feedback have been the areas with the lowest rates of student satisfaction (Beaumont et al 2008, p.1, Williams et al 2005). Feedback is often seen as the ‘twin’ of assessment. The assessment in question may be summative or formative. Ramsden (2003, p.187) refers to assessment without feedback as “defrauding students” and as “unprofessional teaching behaviour”. This document provides a brief overview of the some of the literature about feedback and offers clues about how this might become a less problematic activity for students, teachers and institutions. All UK universities have some sort of mandated system of feedback. In its crudest form feedback can be nothing more than a number or letter grade given. Such feedback would fail on all four of Race’s quality characteristics (see below), but it is feedback nevertheless. For some students a poor mark is the first indication they receive that their studies are not going well (Ramsden 2003, p. 187). Feedback given on assessed work might be seen as more formal than feedback on non- assessed work. Why is feedback so problematic? Carless et al (2011) usefully summarise many of the problems which have made feedback a particularly problematic area. In terms of tutor to student feedback these problems are often presented in terms of the quality of feedback. This quality deficit may be a consequence of tutors providing feedback which the student does not understand or does not know how to use the feedback effectively. If we take Race’s definition of quality feedback as relevant, timely, meaningful and offering suggestions for improvement as a starting point then we can see any shortcomings in feedback as falling into one or more of these categories (see Table 1). Comes too late: for example too late in the semester when there is no scope for improvement. They don’t recognise the feedback as being feedback. Students cannot distinguish between the most important feedback and less important feedback. Mistakes or shortcomings are identified, but there are no suggestions of why these mistakes or shortcomings occurred or what can be done to improve. Improvements are suggested but the student is unable/ incapable of being able to benefit from them at this particular point in time. Therefore problems in feedback have two main dimensions. Firstly, tutors need to know how to give good quality feedback and secondly students need to be able to use good feedback. If the quality of feedback is low, even the students who are most able to make use of good feedback will be unable to benefit. If feedback is of high quality, but students do not know how to make use of the feedback, they are no better off than students who are receiving the poor quality feedback. The language teacher who corrects a student’s pronunciation is giving feedback, even if the student (or the tutor for that matter) does not recognise it as such. Whether the feedback is recognised as feedback is a different question to that of its quality. Feedback also takes place from the student to the tutor. This may be in the form of module feedback forms, institutional surveys, the NSS or as a consequence of conversations between tutors and students, either individually or in a group setting. The quality criteria outlined by Race applies to feedback in this direction in exactly the same way as tutor to student feedback. Askew and Lodge (2001) define feedback as “all dialogue to support learning in both formal and informal situations”. The word dialogue is important here, as the processes of feedback ought to the multidimensional and not unidirectional only going from the tutor to the individual student. The word ‘feedforward’ is starting to gain currency both education and business. Feedforward implies a greater emphasis on considering how the feedback received can help individuals perform better in the next assignment, module, course, project or job (see Parry and Bamber 2010). Table 2 shows the feedback points within an interdisciplinary Year 2 module from the University of Southampton, Sustainability in the Local and Global Environment. The process of assessment and feedback is on-going throughout the module. Table 2: Assessment and feedback on University of Southampton module "Sustainability in the Global and Local Environment”. Feedback can meet the quality criteria outlined above yet still not be effective feedback. Feedback which is relevant in terms of the assessment may not be relevant in the context of the needs of the individual students being assessed. For feedback to be truly relevant it needs to be relevant to the individual student’s needs. The traditional ‘Oxbridge’ tutorial system enables students and teachers to have a feedback dialogue. This is not only a case of to being able to discuss written feedback orally (whether on summative or formative assessments), but also providing a setting in which feedback is personalised to the individual student in the context of the prior performance. The strengths and weaknesses of individual students are identified and addressed (Nichol 2010, p.501). However, staff-student ratios make regular one-to-one tutorials unfeasible in most higher education settings. The expansion in student number over the past two decades makes providing this kind of individualised feedback very challenging. Some suggestions from Nichol (2010) and Ramsden (2003) for improving feedback in mass higher education systems are outlined below. Feedback bank: In addition to their own comments students have access to all the feedback comments for a particular assignment. Students can then draw on feedback bank to potentially identify comments which they think might be relevant to their own situation. Peer feedback on drafts: Students provide feedback on drafts of each other’s work. Teachers can comment on the comments rather than the drafts themselves. Some teachers do comment on drafts, but as Yorke (2002, p.481) points out students can polish up their work and be successful assessment-wise, but not have developed sufficiently to do the work without the support of the teacher. Therefore the feedback meets the quality criteria of improvement in terms of assessment outcomes, but does not necessarily represent any developmental improvement. Group discussion prior to assessment task: Students suggest in groups how they might approach a task and what they think is being demanded of them. Group essay writing: Students work together on an essay over a long period of time. Formal opportunities to meet staff: Timetabled (formal) opportunities should be created to discuss assignments with teaching staff. Knowing what is a good answer: Teaching staff should only set assignments where they are willing to discuss what a good answer should consist of. Whole class feedback: Tutors can outline common misunderstanding/ errors in class. Standardised comments: On multiple choice tests tutors can provide standardised comments on each question. This short review only touches on some of the challenges concerning feedback in higher education. Although student feedback continues to score relatively poorly on the National Student Survey it is important to note that in 2012 over 60% of final year students agreed or strongly agreed that feedback on their work was prompt (Q7), that they had received detailed comments on their work (Q8) and that feedback on their work had helped clarify things they did not understand (Q9). The concern about feedback has led to the production of more resources for students and staff, clearer institutional feedback policies and increasing research into perceptions and practices in feedback. Beaumont, C., O’Doherty, M.O., Shannon, L. (2008)Staff and student perceptions of feedback quality in the context of widening participation, York, Higher Education Academy. Carless, D., Salter, D., Yang, M., & Lam, J. (2011). Developing sustainable feedback practices. . Studies in Higher Education, 36(4), 395-407. Parry, S. and Bamber, M. (2010) Feedforward: the response of accounting students. Practitioner research in higher education 4, pp. 62-72. Ramsden, P. (2003) Learning to Teach in Higher Education.2nd Edition Oxford: Taylor and Francis.